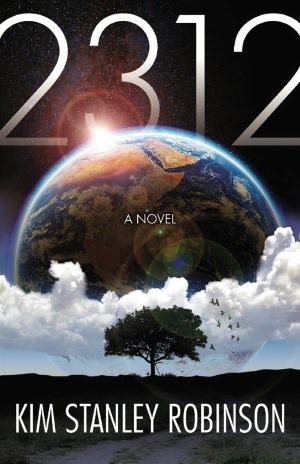 2312 was one of the big science fiction releases of 2012, but given my horrendous backlog of reading I didn’t quite get around to reading it. As 2013 came to a close, and still hearing it talked about, I thought I better include it in my catch up reading binge. Humanity has spread through the solar system, but not to the stars. The plot follows several different characters in what first appears to be a bit of a murder mystery, but quickly extends into a solar system spanning conspiracy. I’ve read a few reviews of 2312 and I don’t know that I have anything particularly new or startling to add to the dialogue. Frankly, I found the plot to be almost of secondary consideration. As the characters moved around the solar system, I was almost more excited to read about how humanity had tamed the planets. None of the characters were particularly compelling/engaging for me, but still the book kept me hooked. The treatment of gender was fascinating, and handled quite subtly. Robinson postulates a solar system where gender issues have been rendered largely secondary. Rather than making heavy handed comments on the nature of equality, he just shows the world as it is. No one comments on gender-parity issues, because there are no issues to talk about. The description of a equal world happens between the cracks, building over the course of the novel and best enjoyed in retrospection. The sheer engineering gumption that it takes to populate the solar system is impressive. A rolling city that crosses Mercury staying constantly in the temperate zone, hollowed out asteroids spun up to create gravity and containing an astonishing array of plants, animals and societies, the timescale involved in terraforming Venus – it is all fantastic stuff. People talk about the book evoking that old school “sense of wonder” – I can now see what they were talking about. Robinson uses multiple points of view effectively, fleshing out the universe and showing key characters from multiple points of view, highlighting their flaws and making them more three-dimensional (and in some cases less reliable narrators when their turn to be point of view character comes around again). In summary, it won awards and excited great comment. It’s well worth the read. It’s long. It can be a bit dry in places.